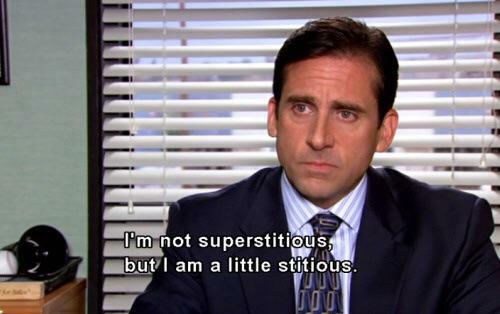 Yes, I’ll continue watching, creepily-looking Mr. Michael Scott.. Yes, I’ll !! An irreverent mockumentary sitcom about daily life at a paper company run by a obtuse but well-meaning boss. Sounds like a good show ? You can give it a go once maybe.. But you might not stop at one !! Why is it that people like to watch episodes of “The Office” even after they’ve already seen them — possibly multiple times? Why exactly rewatching The Office is such a normal thing… ? It’s not a case of cult following.. but rather, the comfort, more than anything else is the primary reason people keep tuning back in. But, while nearly everyone expressed that they craved something familiar, the reasons for needing that comfort varied. The Office endures because the writers and actors strenuously focused on the small stuff. They have entire episodes about otherwise trivial stuff like who took whose office supplies and how employees react during a fire drill. That’s a staple of good comedy… observing what’s funny around us in the everyday world and highlighting it. It’s an incredible stress-buster as well. You can rely on The Office to relieve fans of all stressors before bed, while cooking, doing laundry, or just enjoying a quiet Sunday afternoon. Some fans have also admitted that how it helped them cope with anxiety or mental illness. If you cherish uncomfortable silences and chuckle through scenes of public humiliation, the Office is for you. Watching The Office is at times an uncomfortable experience. 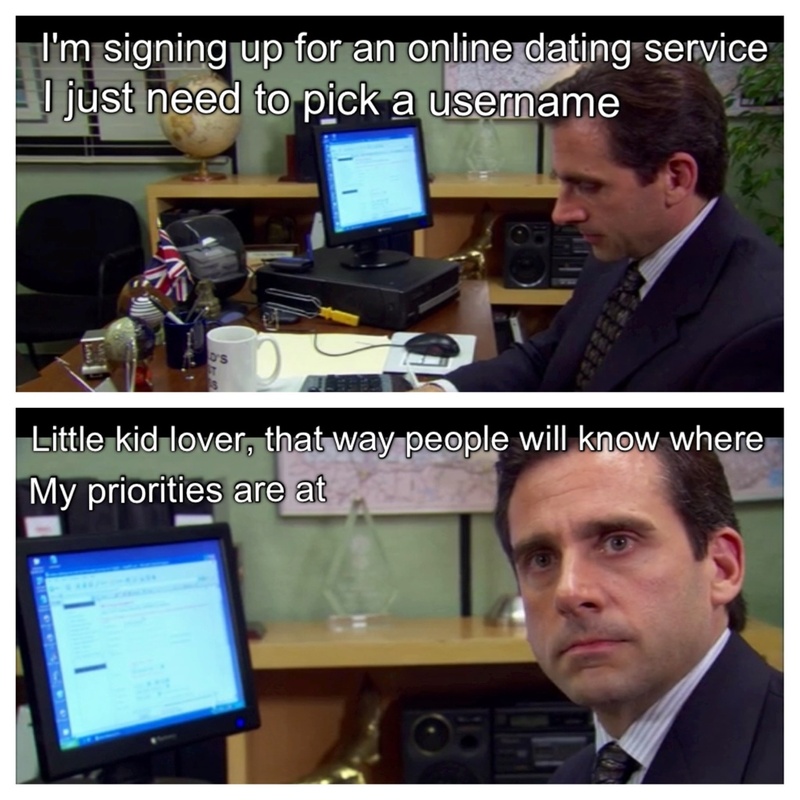 So many times, we just don’t know what Michael is going to do next. He’s the most awkward character on television, and just when you think he’s made us shift in our seats a few times too many by his ridiculous actions. The Office made cringe comedy mainstream again.. and pave way for shows like Parks and Recreation, Modern Family, Brooklyn Nine-Nine, 30 Rock, Silicon Valley, etc. 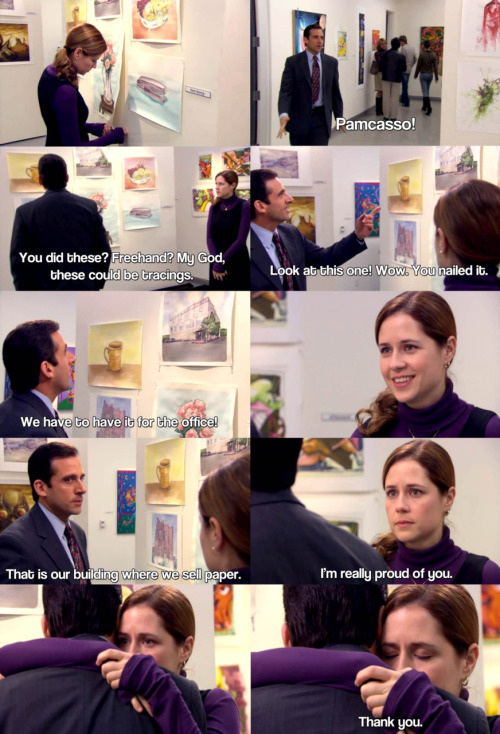 I’m not gonna focus too much on Michael Scott’s character here because that deserves a separate drill-down itself. But let’s just say that the greatest decision Rick Gervais and the team was to deviate the character from the UK version and give Michael Scott some endearing qualities. The US version has moments where it allows the viewer to settle back in and find some compassion for Michael Scott and let’s you put up and laugh at his doucheyness for a bit longer. 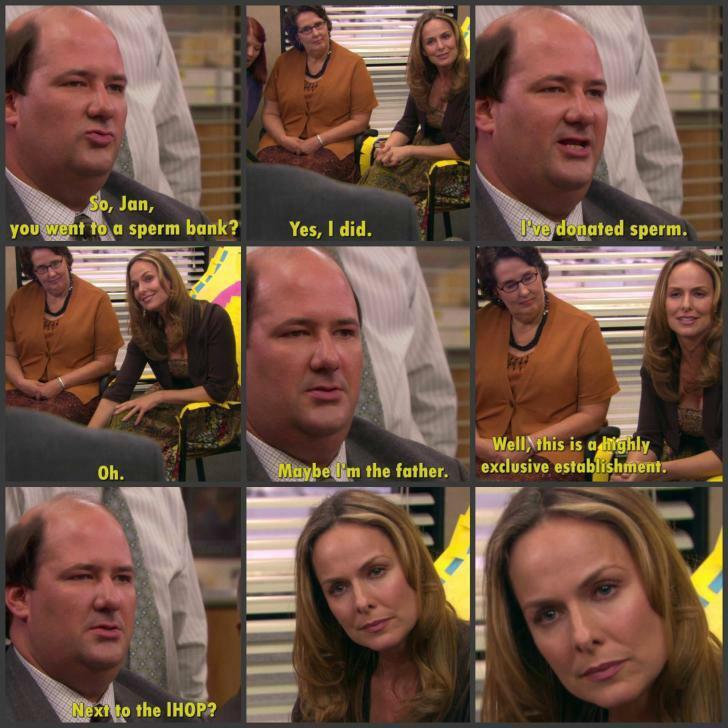 In a similar way, we get to see the development of Dwight Schrute, who claims to not like any of his coworkers initially, but when he sees Pam crying his first instinct is to assume a fighting stance and figure out who made her cry. Even apart from the top-of-the-house solid characters like Jim, Pam, Michael and Dwight, the rest of The Office crew… Kevin, Stanley, Phyllis, Toby, Ryan all have their moments to shine and imprint an everlasting memory into your mind. While we’re on the subject of character depth, I believe that the funniest character to appear on The Office is Creed Bratton. Not Michael Scott, not Dwight Schrute, not even Stanley Hudson, for god’s sake. It’s Creed. Creed is the winner. If you don’t believe, then sue me !! I noticed this gem during the second watch… Courtesy of the good people on Reddit !! Michael’s so determined to be Santa, and Kevin sits in his lap. That probably is the single moment of the show that the entire ensemble had the hardest time not laughing. And I couldn’t stop laughing because I could hear Steve laughing behind his beard, but you couldn’t see his mouth. You hear in his voice that his legs are being paralyzed, but he’s fighting to ask Kevin what he wants for Christmas. I don’t think they had enough footage that they could air a version without people laughing. Speaking of breaking, I feel like that’s the only time for me it’s on air. Holly, at a certain point, is helping Kevin with the vending machine, and I’m holding money and I’m trying to decide what to do, and she thinks I don’t understand money, and she starts counting out the money. She’s so fantastic: At one point, there’s a button, and she picks up the button and says, “This is a button.” Like she’s explaining to Kevin that he can’t use this to buy something in a machine, and I laughed every time at that. Honestly, I realized both of these instances in the 4th or 5th rewatch… and it makes me respect the show even more. And I know there are plenty of more such unnoticed instances which will make my subsequent reruns (of course there’s plenty more to come !!) even more entertaining.